This is special one! We created a perfect eraser of unwanted yellow, orange and light red tones. With every application your hair color will get cooler and lighter. Use it on bleach blonde hair and it will instantly give your hair a lavender silvery tone. 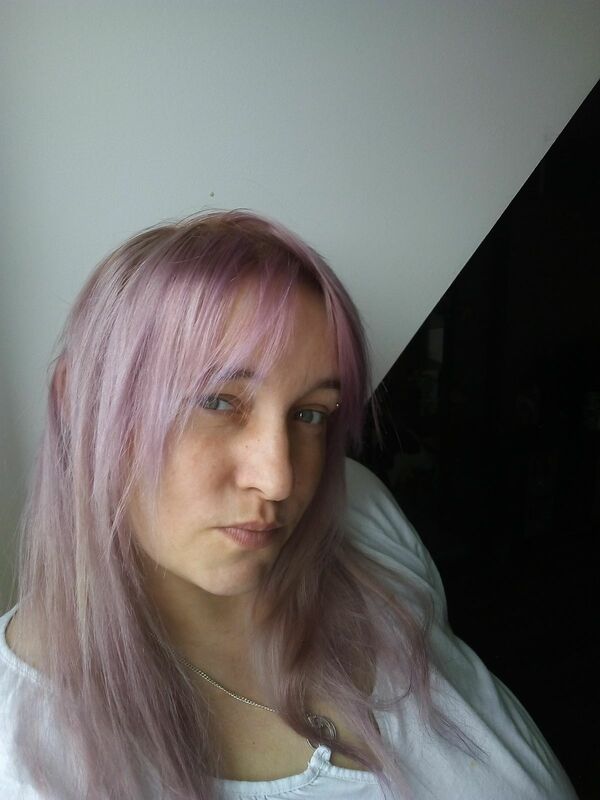 PASTEL LAVENDER WHITE ColorConditioner is a vibrant conditioner based semi-permanent hair color ideal for a damage free hair colouring, color refreshing and toning. Use it again and again and your hair will be colourful, healthy and strong. Pigments will stay in up to 7 washes, depending on quality of your hair and after care. Lorena A. Reviewed by Lorena A. Best anti-yellow conditioner I ever tried! 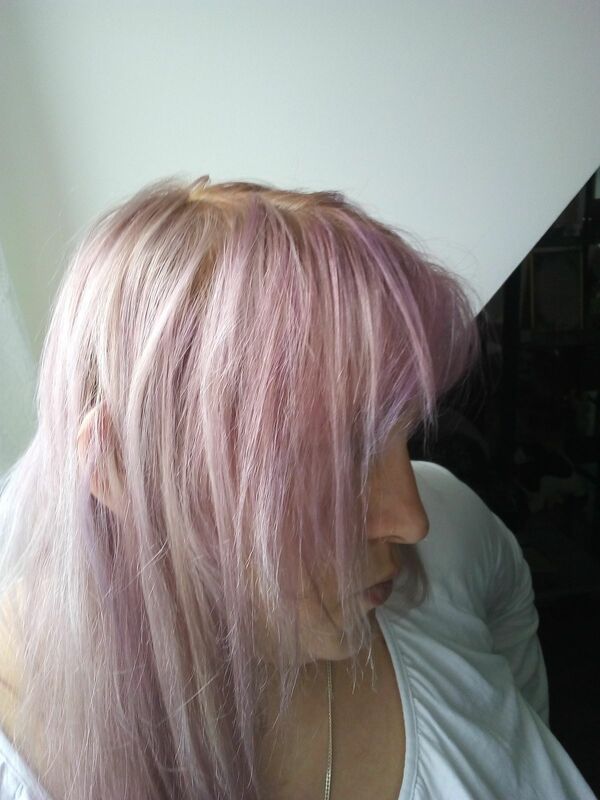 I'm always struggling with yellow blonde hair and even toning at the coiffeur didn't bring satisfying results for me (which was btw not cheap...). 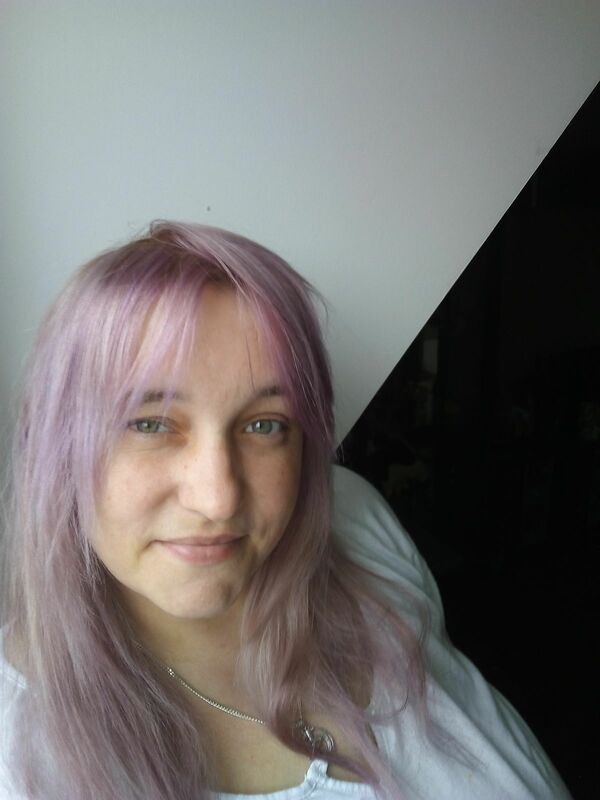 The conditioner gives my hair a very cool icy blonde with some purple shades in it. I love it. Hair does NOT get damaged or dried - it's ultra soft and healthy. I use the conditioner every week for about 60-90 mins while doing cleaning or any other stuff at my home^^ Atferwards it is very intense, but it needs to be refreshed every week. Marta M. Reviewed by Marta M.
Robertne P. Reviewed by Robertne P.
This Colore ist Perfekt!! Wery beautyful! I’am very satisfied! Thanks! Teresa F. Reviewed by Teresa F.
Was really sceptical that this would do what it claimed . Wow !!!! Just wow it does exactly what it says on the tin . So impressed went straight back on line and purchased 2 more so i will never run out. Everyone loved it no negative at all five stars plus !!!! Lara E. Reviewed by Lara E.